Underwater space has been the subject of various scientific fields. In the field of architectural design, projects are generally limited to the areas of construction techniques for underwater as a civil engineering problem; underwater tourism; and underwater research. A much less researched area is ocean colonisation -permanent human settlement of oceans- and its architecture. This paper focuses on a case study of a workshop entitled “Mission Aquarius”, as part of the architectural design studio. 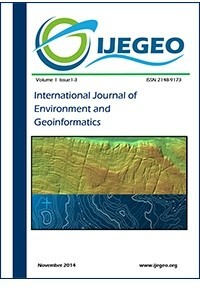 It treats oceanography in the context of extreme environments, and explores the use of biomimicry as a design approach, and the use of geoinformatics as site selection method. We encouraged students to explore various stages of scientific knowledge at the design level, and to employ various CAD/CAM tools. It is important to emphasize that the curriculum is a studio-based architectural design education with limited access to scientific data. It is aimed to integrate geoinformatics and biomimicry into the design studio, and to allow students to explore new contexts for design. Bayarı, S. 2018. Ocean Colonization: A Geological and Oceanographic Perspective, Lecture Notes. Chaline, E. 2017. Strokes of Genius: A History of Swimming. Reaktion Books, London UK. Kaji-o'grady, S., Raisbeck, P. 2007. Prototype cities in the sea, The Journal of Architecture, 10:4, 443-461. Konecny, G. 2002. Geoinformation. London: CRC Press. Koyuncu, D. 2007. Inquiring into the Underwater Structures: Architectural Approaches to Design Considerations. METU, Master Thesis. Leach, N. 2014. Space Architecture The New Frontier for Design Research, AD Architectural Design Journal. Pawlyn, M. 2011. How can we build more efficient structures? In Biomimicry in Architecture, RIBA Publishing, 9-35. Pickard, G. L., Emery, W. J. 1990. Descriptive Physical Oceanography: An Introduction. Pergamon Press. Varinlioglu, G., Pasin, B., Clarke, H. 2018. Unconventional formulations in architectural curricula: An atelier on design for outer space architecture. In ITU A|Z 15:1, 47-56.